Coming soon - a new community of elegant 2, 3, 4 and 5-bedroom homes in the beautiful North Somerset village of Rode. 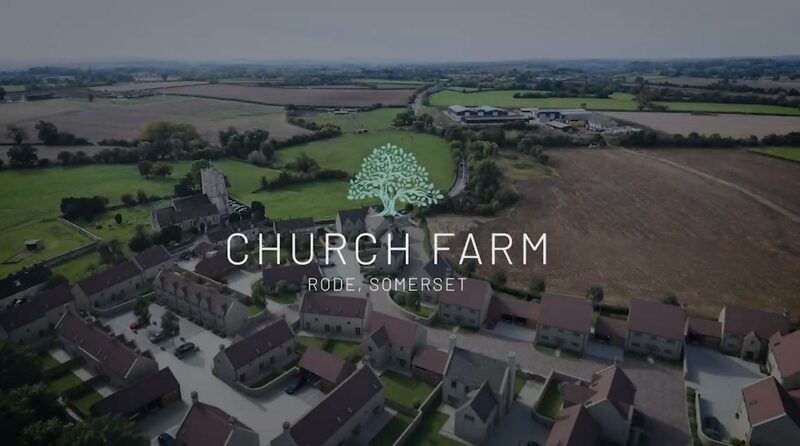 Church Farm brings together the finest traditions of West Country craftsmanship with the highest standards of modern architectural design to create country homes of great character with a simple sense of village charm. A superb range of properties, built in time-honoured fashion, using local materials and naturally-quarried Cotswold stone, by a team of craftspeople dedicated to creating new homes that will last for generations to come. Tailored to their environment and designed to weather gently over the years to create warmth and personality, Church Farm homes are distinctly individual, with traditional architectural features that bring a sense of longstanding community. Traditional on the outside, but contemporary within. Spacious rooms with generous ceilings provide a relaxed, natural feel. Hand-built kitchens have been designed exclusively for the development, with oak staircases, stylish modern bathrooms, underfloor heating and fibre optic broadband. The historic village of Rode lies mid-way between the market towns of Frome and Trowbridge and 12 miles south of Bath. Its mixture of picture postcard cottages and elegant merchants’ homes makes it one of the most sought after locations in North Somerset. To register your interest and sign up for news from Church Farm, please enter your details. Church Farm is a development by Autograph Homes Ltd. Sales enquiries are exclusively managed by Cobb Farr, Bradford on Avon Office, 37 Market Street, Bradford on Avon, BA15 1LJ..
© 2019 Autograph Homes Ltd. All rights reserved. Please note that all computer generated images are for general guidance only. Please ask your sales adviser for precise details of finishes and specifications.